MAC 19 is about to amaze us this April. 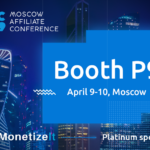 As you may know, iMonetizeIt is the Platinum Sponsor of Moscow Affiliate Conference, inviting you to join the biggest marketing event of this spring. The only question is: are you ready? Soon the Russian capital will be flooded with hundreds upon hundreds of affiliate marketers and advertisers. All united under a single agenda: getting the bleeding-edge intel on the latest developments in affiliate marketing and partnering with new interesting like minded people. In April, the conference will be joined by 250 companies and 30 speakers. 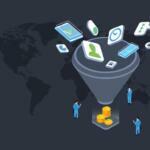 The Russian affiliate scene will see a lot of attention, and those looking to hop into Russian/CIS offers will get a great opportunity to do so among the numerous activities at the event. While visiting Moscow, don’t be a stranger to the daring Russian spirit. The city is beaming with things to do and places to visit. Check the Flacon Art District and discover the contemporary Moscow you couldn’t imagine. The Red October District is relished among yuppies with co-workings, hidden bars and unexpected social encounters. And don’t forget to visit the Red Square and Kremlin, you’re in Moscow! When it comes to food, the city will continue to impress. Make sure to go to the Insight restaurant for exquisite meal combined with the best rooftop view over the city. The Central Market is another place to be if you’re out for something special. The desert cart here is virtually unforgettable. In Danilovsky Market, on the other hand, you will get an exceptionally good variety of elaborate dishes from different cuisines of the world. In terms of the city nightlife, we recommend the Bessoniza Qualitate Nightclub. The venue will impress you with top house music DJ sets. Strelka Bar should also be among your nightcity priority destinations. For more details visit the official website for the main event as well as the section for the afterparty. 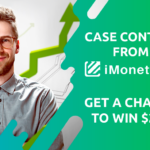 All in all, if you are even remotely serious about affiliate marketing, you cannot miss MAC 19, it’s going to be a blast. While there, make sure to talk to us, book a meeting. See you all at the conf!